In 1914, Irish explorer Sir Ernest Shackleton set sail on his ship Endurance with a crew of 27 men, whom he had recruited with this notice: “Men wanted for hazardous journey. Small wages. Bitter cold. Long months of complete darkness. Constant danger. Safe return doubtful. Honour and recognition in case of success.” He sought to make the first crossing of the Antarctic continent, home to the harshest climate on earth. 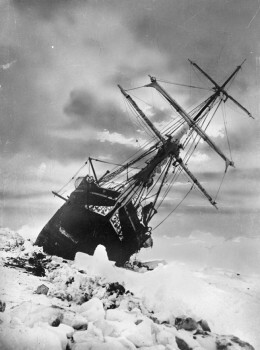 Partway into the expedition, the Endurance became trapped in pack ice along the Antarctic coast. The ship remained locked in the ice for 10 months, until it collapsed under the pressure and sank. For five months, Shackleton’s men camped on the drifting ice where they had been stranded. Eventually they escaped in their life boats and sailed to Elephant Island, a tiny, uninhabited crag. 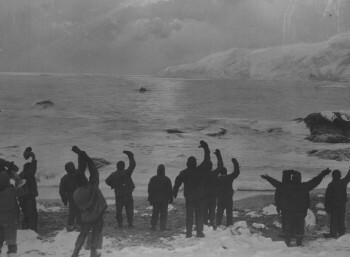 Realizing they had no hope of rescue, Shackleton took a crew of five men to search for help. In a harrowing 17-day journey, they survived a crossing that many thought impassable: 800 miles over frigid, rough seas to South Georgia Island, which had a whaling station. Upon reaching the island, the rescue party faced a second, nearly impossible obstacle: trekking across 26 miles of mountainous terrain, dotted with glaciers, to reach civilization. Shackleton and two of his men made the trek, and in August 1916, 21 months after he and his crew started their journey, Shackleton returned to Elephant Island to rescue the remainder of his crew. Despite suffering from starvation, frostbite, and incredible mental and physical deprivation, all 28 men survived. At Endurance Behavioral Health, we draw inspiration from Shackleton’s heroic spirit. The Endurance, trapped in ice, is an apt metaphor for the way people can become trapped by mental health crises. Like Shackleton’s crew, they face a choice: give up under seemingly impossible circumstances, or persevere to fight for their own survival. 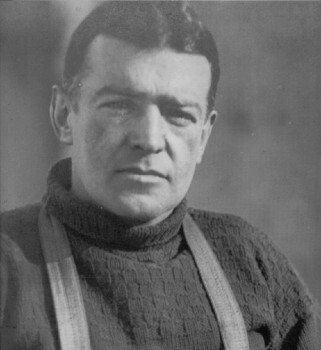 We strive to emulate Shackleton’s unique vision and leadership to help our clients persevere through even the most difficult challenges in their lives.